A great night for Kingsbury at the English Speaking Union Mace Debating Competition. 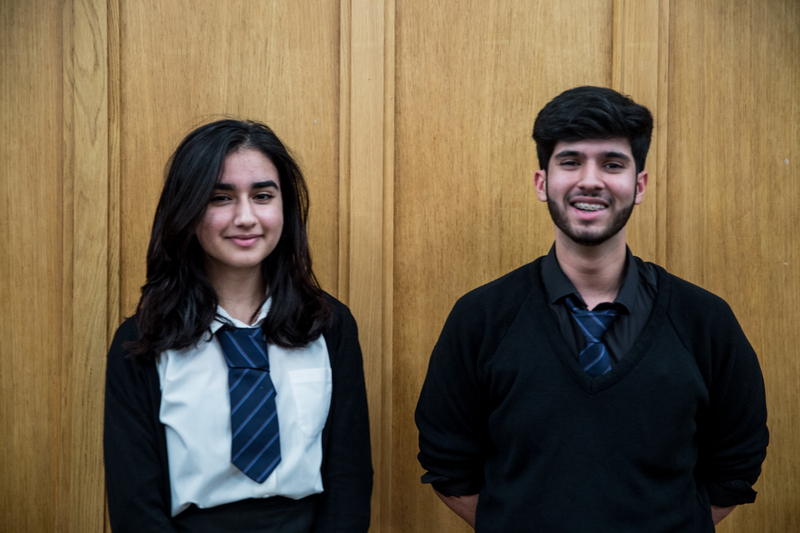 On Monday 28 November Kingsbury had the pleasure of hosting the first round of the English Speaking Union Mace Debating Competition where Kingsbury High School’s debating team, Sara Dehvari and Haider Nazerali, took part. They competed against students from Haberdashers’ Aske’s Boys’ School, North London Collegiate School, Queen Elizabeth’s School, Immanuel College and Finchley Catholic High School. The 3 debates were judged by an experienced adjucator from the English Speaking Union and each participant had a 7 minute speech. It was a fascinating event showcasing the passion for the different topics and the art of debating from the students. Sara and Haider were supported by members of staff and younger students throughout the preparations as well as during the event. They opposed the motion ‘This House supports Physician-assisted Euthanasia’. We are extremely proud to announce that KHS made it through to the second round, as well as Haberdashers’ Aske’s Boys’ School and North London Collegiate School. It was a great night for Kingsbury debating and public speaking. All teams performed with distinction, fighting hard for their places and the quality of debating was first class.